On the hunt for a last minute gift? 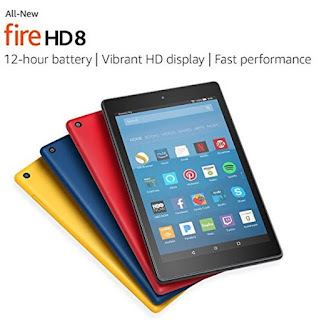 Get the All-New Fire HD 8 Tablet with Alexa, 8″ HD Display, 16 GB, Black for $49.99 Shipped (Retail $79.99). PLUS don’t forget you can get the All-New Fire 7 Tablet with Alexa, 7″ Display, 8 GB on sale for $29.99 (Retail $49.99)!